Macau-based gaming operator MGM China Holdings Ltd has delayed the opening of casino resort MGM Cotai (pictured) to February. The firm had previously said the property was scheduled to open on January 29. “We put out an announcement today indicating that we will not open the doors of MGM Cotai on January 29th,” the company said in a press release on Thursday. “While still undergoing government approval process, we are now focusing on our grand opening within the month of February,” it added. The company had said previously that the “grand opening” would take place on February 13, although the date was not confirmed in the latest release. In a separate filing to the Hong Kong Stock Exchange, MGM China said the overall budget of the Cotai project is expected to remain unchanged at approximately HKD27 billion (US$3.45 billion), excluding land and capitalised interest. “We are working closely with the Macau government to bring to our community and to the public a long-awaited world class resort that takes diversified consumer experiences to a new height and that thousands of our employees feel deeply proud of,” the casino operator said in Thursday’s release. Macau’s Secretary for Economy and Finance, Lionel Leong Vai Tac, said on Wednesday that MGM China would get 100 new-to-market live gaming tables for the opening of its MGM Cotai. The government official added that the company would be granted an additional 25 new-to-market tables on January 1, 2019. The tables were granted only for the mass-market segment, the city’s gaming regulator, the Gaming Inspection and Coordination Bureau, confirmed to GGRAsia in an emailed statement. The regulator also approved more than 900 slot machines for operation at MGM Cotai. MGM China has also been authorised to transfer 77 gaming tables from MGM Macau, in the city’s traditional downtown casino district, to the Cotai venue. The gaming table grant for MGM Cotai is below market expectation, several analysts noted. The aggregate number of tables granted to MGM Cotai is lower than the 150 gaming tables allocated to, respectively, the Parisian Macao, developed by Sands China Ltd, and Wynn Palace, operated by Wynn Macau Ltd, two properties launched in 2016. “We believe consensus were expecting 150 tables over the next two years and may be disappointed to get total of 125 tables,” said banking group Morgan Stanley in a Thursday note. “One of the key reasons could be the licence expiry for SJM/MGM in March 2020. We believe once the licence extension is sorted, it is possible to see MGM China receiving more tables for this [Cotai] project,” added the institution. The concessions of the six current Macau operators expire on various dates in either 2020 or 2022, with the respective licences of SJM Holdings Ltd and MGM China set to expire in 2020. The analysts noted that the lower-than-expected table allocation for MGM Cotai might not result in lower earnings before interest, taxation, depreciation and amortization (EBITDA) estimates in 2018 and 2019. 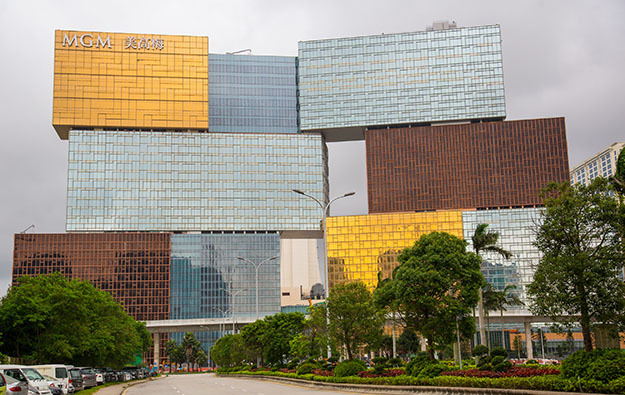 “In regard to MGM Cotai, we believe that excess table capacity harvested from MGM Macau on the peninsula, in addition to the new tables being allocated by the government, will be enough to achieve current revenue and cash flow forecasts for the company,” said Union Gaming Securities Asia Ltd’s analyst Grant Govertsen. The Macau government operates a table cap policy, effective since 2013, designed to limit compound annual growth in the number of new live-dealer tables in the city’s casinos to 3 percent until the end of 2022, from a base of 5,485 tables recorded at the end of the fourth quarter of 2012. The Macau market had 6,419 live-dealer tables as of the end of the fourth quarter – 30 fewer than at the end of the third quarter – stated the regulator in quarterly data updated on January 16. “The government is expected to see number of tables growing at 3 percent per annum since 2012 implying 2018 table quota of 193 tables … considering MGM received only 100 tables, this is positive news for other casino/hotel openings in 2018,” Morgan Stanley noted in its Thursday memo. Union Gaming estimates that there will still be 657 new-to-market tables to be allocated under the Macau government table cap. “Under the assumption that SJM also gets an initial batch of 100 tables for Grand Lisboa Palace in 2019, and that the government allocates ‘catch-up’ tables to MGM and SJM after the licence situation is finalised, this would leave 482 tables in the government’s inventory,” said Union Gaming in its Wednesday note.